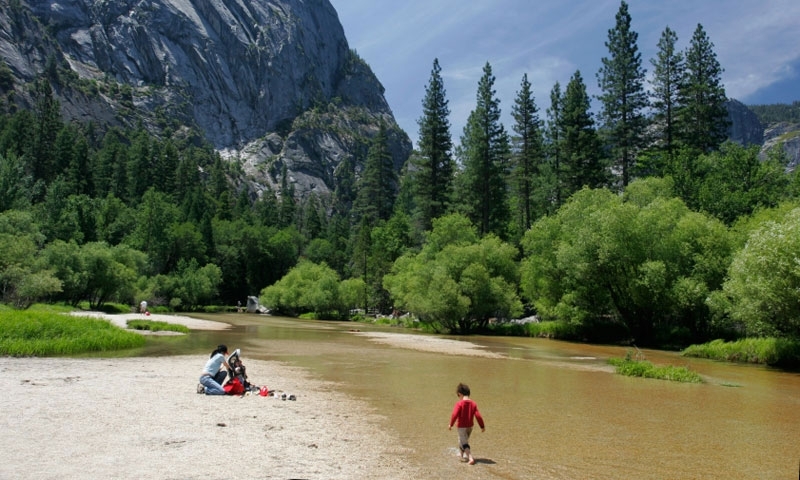 Get your fill of almost any outdoor adventure in Yosemite, including hiking, biking, fishing, rafting climbing, horseback riding, camping and more! Customize your Yosemite vacation with guided hikes to hidden waterfalls, biking expeditions, or even air tours of this spectacular area. 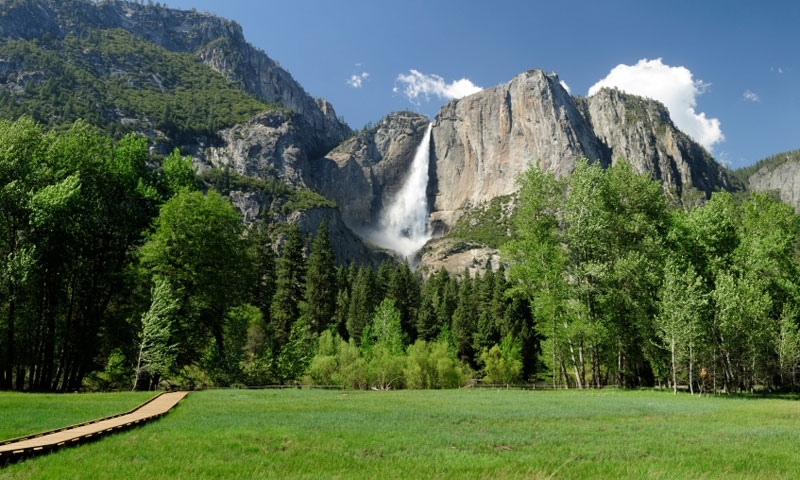 Explore a National Park with abundant waterfalls like Yosemiteand Vernal Falls, a massive trail system and famous granite formations like Half Dome. 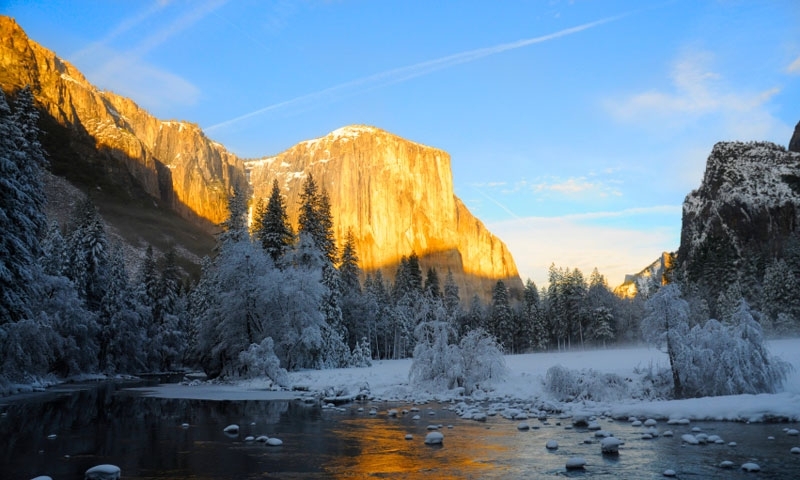 An easy jaunt from the Bay Area in California, Yosemite offers a wonderful escape into the wilderness. Camp in one of the park's many campgrounds or stay in a walled tent! Hiking trails abound, either along the valley floor or meandering up to a mystic waterfall. 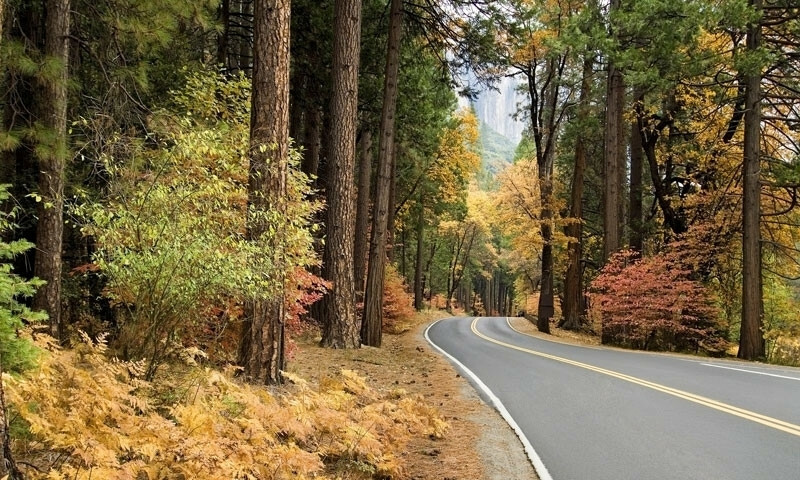 Other summer adventures include fishing, horseback riding, rafting, biking, and climbing. In the winter, this accessible park is ideal for cross country skiing or snowshoeing.